Amazon Audible Free Trial Offers: Amazon has been launched it's own Audio Book service "Audible". Currently prime users can start 90 Days free trial, after that 90 days, Rs.199 per month. Can be canceled anytime. Audible, Books that speak to you. Members get over 350 mins of handpicked listens for free, in addition to the monthly credit. You can easily exchange your audio book. Don't like the book? Swap it for free. So start your free trial and enjoy listing favorite books. What is the Amazon Audible Subscription Offer? What all Do You Get from Amazon Audible Free Trial Offer? Is Audible Free with Prime? Do Amazon Prime Members get Free Audiobooks? How do you cancel Amazon audible? Back in the old days people often wondered what would happen if books could talk to us. Well, guess what? With Amazon audiobooks, your favourite books will talk. Amazon Audible offer is just what you need to get your books talking to you. Subscribe to Audible and your world will no longer be the same. Your books are about to get closer to you. Reading or rather listening to those cliffhanger moments or those quotes that make your eyes well up will be an game changing experience for all those book sniffing bibliomaniacs. Amazon has launched its own platform of audiobooks service called Audible which has a wide range to books you could pick from. With this, you can listen to your saved books on the go. Nothing can come between you and your precious treasures. 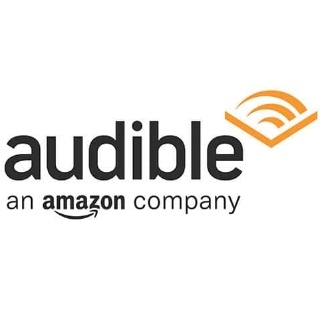 The Amazon Audible subscription brings Amazon Audible 30 days free trial for prime users . After the 30 days period ends, the users will have to pay Rs.199 per month. The subscription can be canceled anywhere, anytime. There is almost 350 minutes free access to handpicked audiobooks. Not just that, all the users can easily exchange their audio books. If you don’t like the book, you can always swap it for free. Pay once a month and enjoy audiobooks for the whole month regardless of the price. Users will get 350 minutes of handpicked listens for free. Exclusive members will get 30% off on any additional audiobook. Audiobooks once yours, remain yours even when your cancel your subscription. If you don’t like a book, you can always swap it for free. You can see for yourself that Audible has a variety of books from different genres laids out for you. You can grab whichever one you like and keep it with you forever. Amazon may offer membership plans and may even change them or their features from time to time. The content you purchase will be in your Audible library. It is advisable that you download the content after the completion of the purchase. Amazon may add or remove any sort of content, be it purchasable, promotional or membership. A membership plan and any subscription can be cancelled by the user anytime but there will be no refund of fees that has already been paid. Also, cancellation does not terminate the user’s access to already purchased content. Amazon reserves the right to alter or modify the terms and conditions or make changes to any offer or even cancel them. There you go. You have all that you needed to know about the Amazon Audible offer. It’s up to you when you want to subscribe to the services. Although we would suggest you start right away because this will make your life simple and also allow finish you books as you jog, commute, cook, gardening or whatever it is that you love to do. Amazon Prime members can access audible for 90 days at no additional cost. In this free trial, customers will be able to stream from a rotating group of more than 50 audiobooks. But after 90 days, prime members have to pay Rs 199 per month to access the audiobooks. Amazon Prime members will have free access to rotating group of 50 audiobooks which will resemble the Kindle Lending Library program. Go to the Account Details page on the Audible desktop site. Click Cancel membership at the bottom of the "View membership details" section. Follow the on-screen instructions and steps.